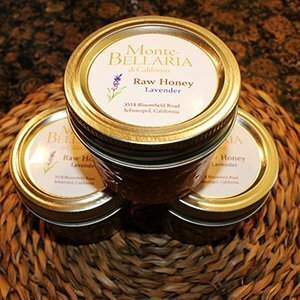 Healing Properties of Raw Honey: More than just a sweet treat! The health benefits of honey have been discussed for thousands of years (and even makes an appearance in the Bible). In our modern world, many of the health benefits (which have been well documented by numerous scientific research institutions) are related to eating honey. The component substances in raw honey include: Probiotics, Enzymes, Phytonutrients, Flavonoids, Vitamins and Antioxidants. Honey is also naturally Anti-bacterial, Anti-microbial, Anti-fungal and Anti-metastatic (anti-cancer.) It has a very long shelf-life and needs no artificial preservatives. According to the website “Well-being Secrets,” one tablespoon of honey has about 64 calories and has no fat, [gluten] or cholesterol. It includes vitamins, trace enzymes, amino acids, and minerals like calcium, iron, sodium chlorine, magnesium, phosphate, and potassium. Because of its distinct bend toward the acidic pH level, it helps reduce bacterial growth, and the antioxidant properties help it wipe out some free radicals. 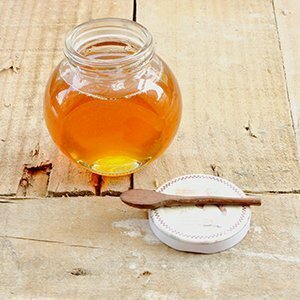 But something that many people don’t associate with honey is its topical application properties; or in other words using honey directly on the skin. 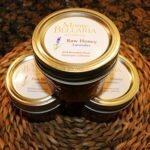 An offhand conversation with a local veterinarian revealed that raw honey is frequently used for animal wounds. So while I might question folks who swear by certain homeopathic treatments (because we are all sometimes prone to hope), if my vet is using it on my dog…I have to believe that that is proof of efficacy. Let us know if you have any other honey treatment thoughts.